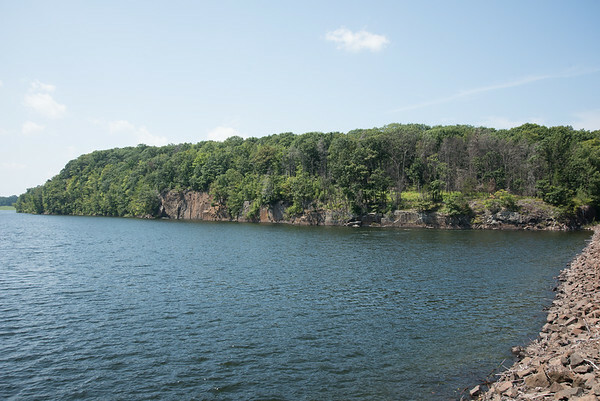 NEW BRITAIN – The number of people “cliff jumping” into Wassil reservoir has been reduced thanks to increased enforcement and increased publicity about the dangers of plunging into a city water source from 70 feet above. 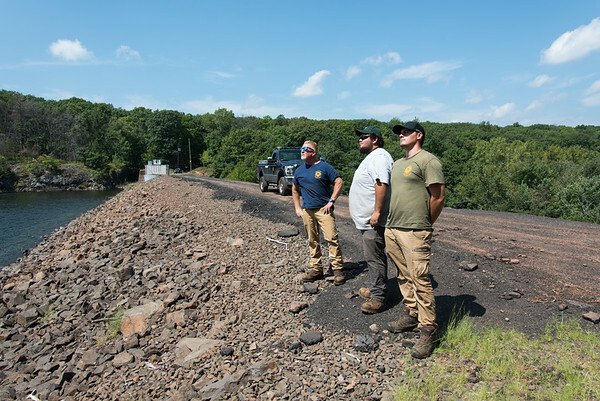 But people are still engaging in the activity, leading New Britain, Berlin and Southington police to seek a non-emergency “interagency agreement” allowing each department to make arrests or deal with crime in the area no matter where the actual jurisdiction lies. 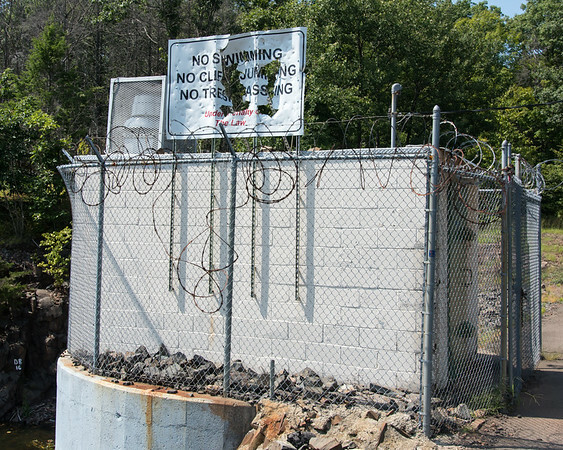 For decades, police and New Britain Water Department staff have been dealing with kids hiking in from Ragged Mountain or from Southington and Berlin Roads to party, cliff jump and swim in the reservoir. 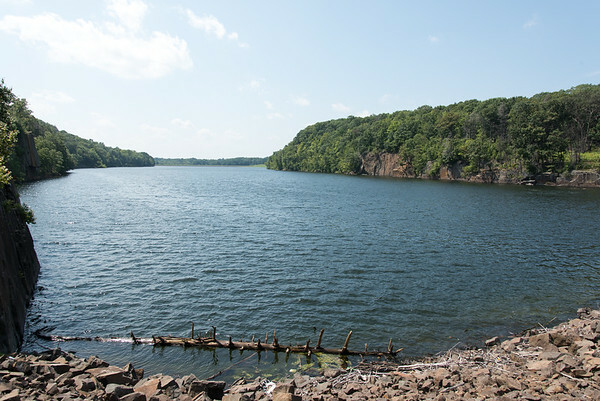 The body of water is owned by New Britain but straddles the Berlin and Southington town lines. 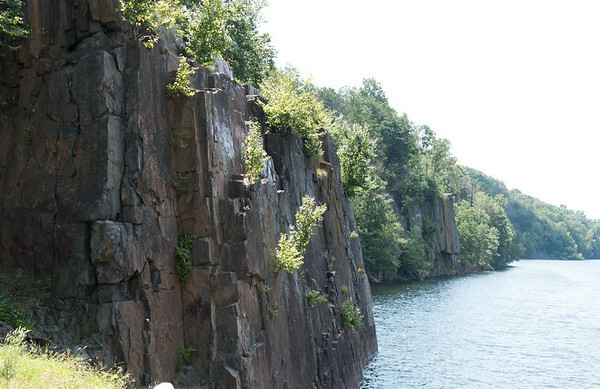 The internet has dramatically increased the number of people that venture to the area to leap from cliffs that are up to 70 feet high. 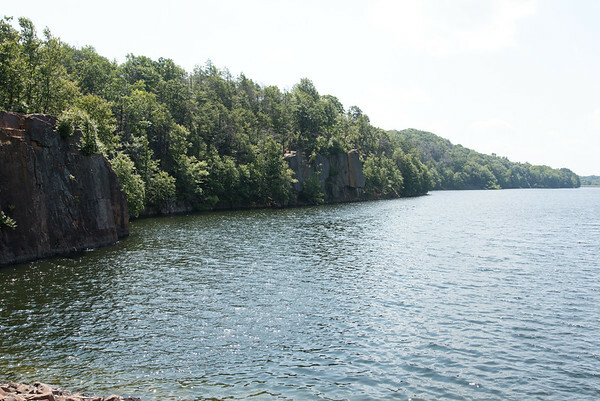 The Berlin side has taller cliffs and can only be accessed on foot. 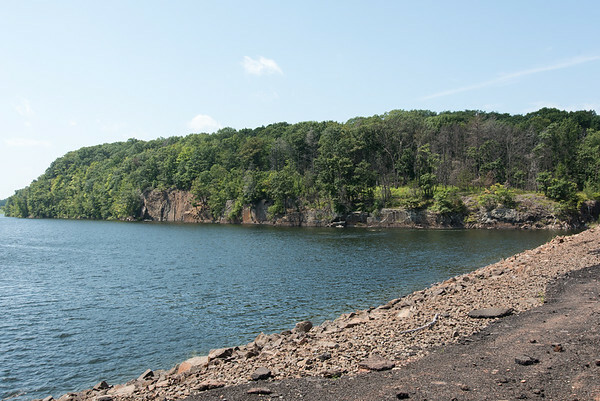 The Southington side has somewhat shorter cliffs and can be accessed from a nearby road where jumpers risk getting their cars towed. Both sides are connected by the dam. 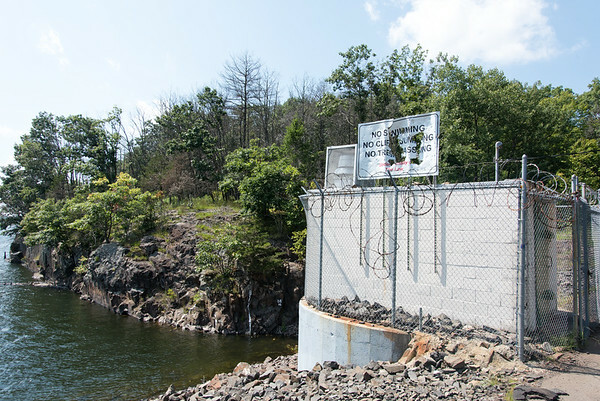 In early July, groups of between 50 and 100 people were spotted cliff jumping on various days leading New Britain police to issue 23 tickets to adults and 19 to juveniles. The tickets come with a $92 fine. Southington and Berlin police have been patrolling the area a few times a week on ATVs. New Britain police stop in on a daily basis at random times, New Britain Chief James Wardwell said. 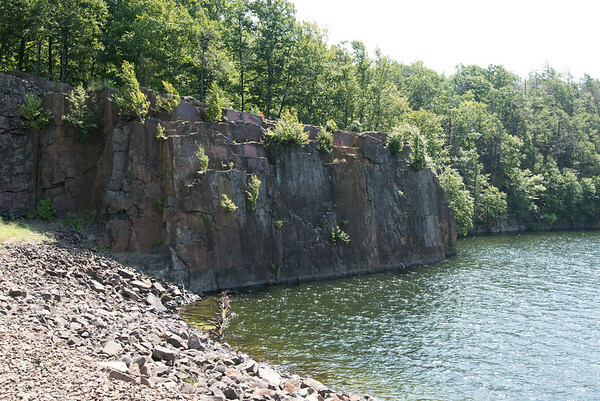 Although the number of cliff jumpers has been reduced since the start of the summer, it’s still happening, said Dave Camden, head caretaker for the New Britain Water Department. “Where we used to be seeing 10 a day, now we’re seeing three or four a day,” Camden said. 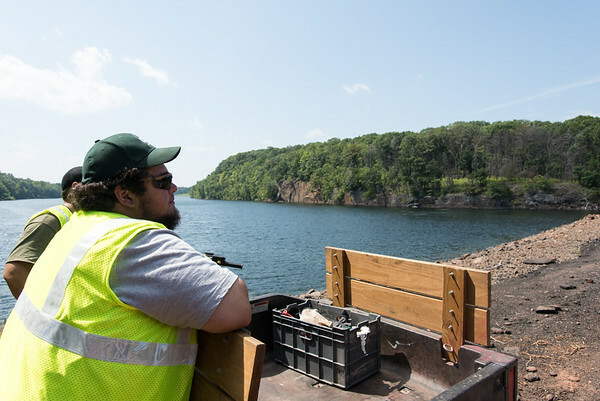 Two of Camden’s crew also regularly patrol the reservoir picking up trash and notifying police if anyone is jumping. 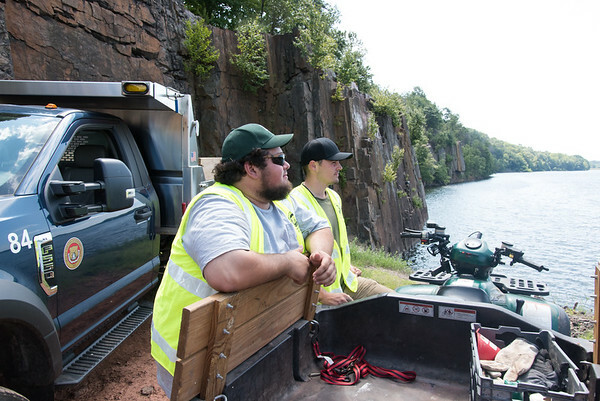 No one was around mid-day Wednesday as the crew did their work by the dam. 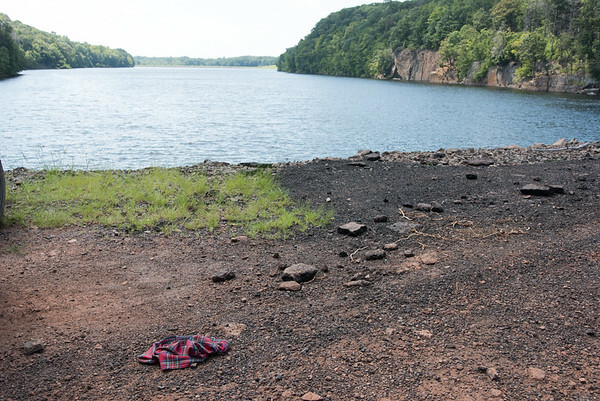 The only evidence that illegal cliff jumping had recently taken place was a wadded up pair of red plaid boxers left on the ground. “They are still coming in but it seems to have cooled down a bit,” Camden said. “New Britain police come every day and Southington and Berlin have been coming a couple of times a week. Berlin officers issued two simple trespass infractions Sunday while working with Southington police, Ciuci said. 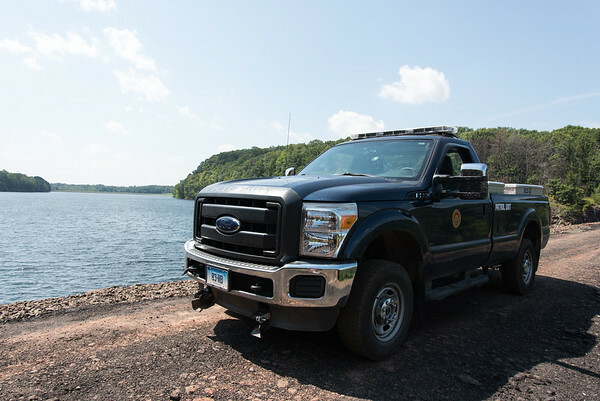 The non-emergency interagency agreement must be approved by all three police chiefs and the governing bodies of each municipality before it can go into effect, Ciuci said. Posted in New Britain Herald, General News on Friday, 31 August 2018 17:11. Updated: Friday, 31 August 2018 17:13.